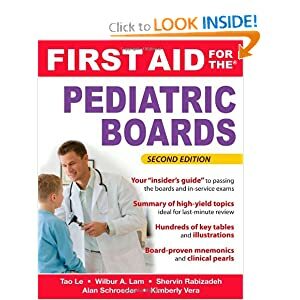 This is the new edition of the physician-to-physician, step-by-step guide to passing the pediatrics board exam. Written by veteran First Aid editor Tao Le and a team of former residents from Johns Hopkins University who recently took the exam, this book covers what to expect on the exam, how to register and succeed, and must-know high-yield facts. Features new to this edition include a full-color photo insert and mini-cases that frame clinical discussions for better retention. The summary of high-yield facts make it the ideal last minute review book. A true "insider's guide" for in-service, boards, and recertification!